Thanks to My Coke Rewards you can snag a Free set of personalized playing cards. Just log in and click the Get It button. This reward costs zero points, so it's totally FREE! Deal winning memories every hand. Start with a favorite photo, then fill this poker-size deck with fun times. The 52 standard cards and 2 jokers come complete with a hard case. Approximate retail value $19.99. 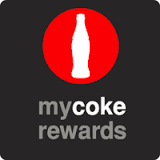 This digital code will be delivered via email only, to the email address associated with your My Coke Rewards® Account. If you have changed your email address since creating your Account, please be sure to update it prior to redeeming. Offer expires 2/8/2017. Shutterfly code expires 3/31/2017 (please advise). 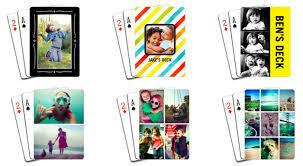 Offer is good for one free set of playing cards through shutterfly.com, our mobile-friendly site or Shutterfly apps. Taxes, shipping and handling will apply. Not valid on prepaid plans, other products and prior purchases. Cannot be redeemed for cash or combined with select offers or credits. Not valid for resale. We reserve the right to modify or replace any part of these terms and conditions without notice.